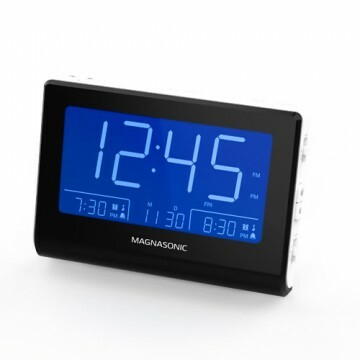 Your mornings are in good hands with the reliable Magnasonic Digital AM/FM Clock Radio. 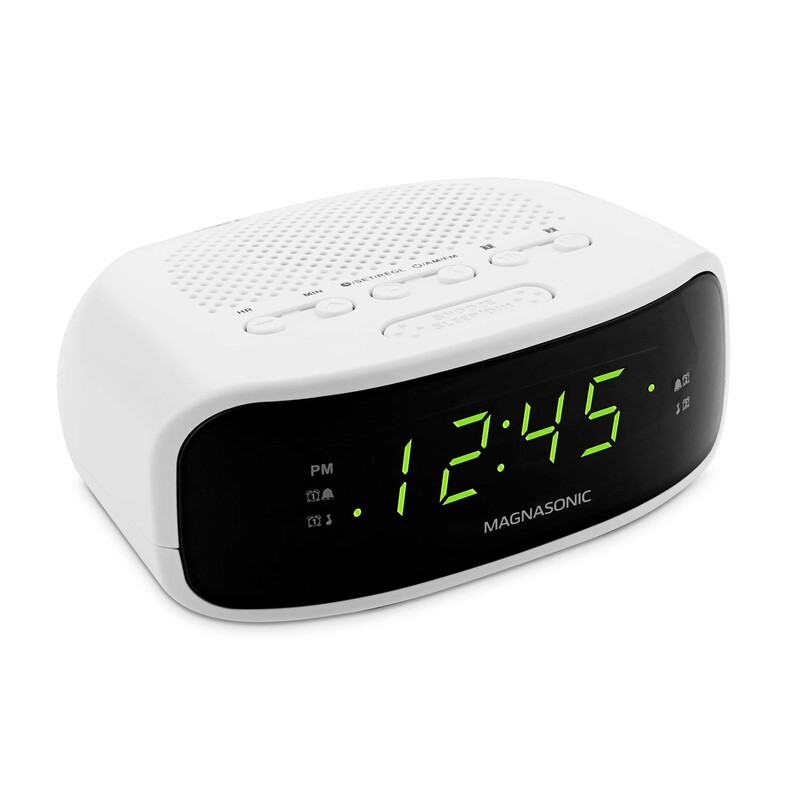 This clock radio has been designed with convenience and functionality in mind – from the vibrant 0.6” green LED display with dimming option to the easy-to-use button controls that adjust volume, seek radio stations, and program the device’s dual alarm. 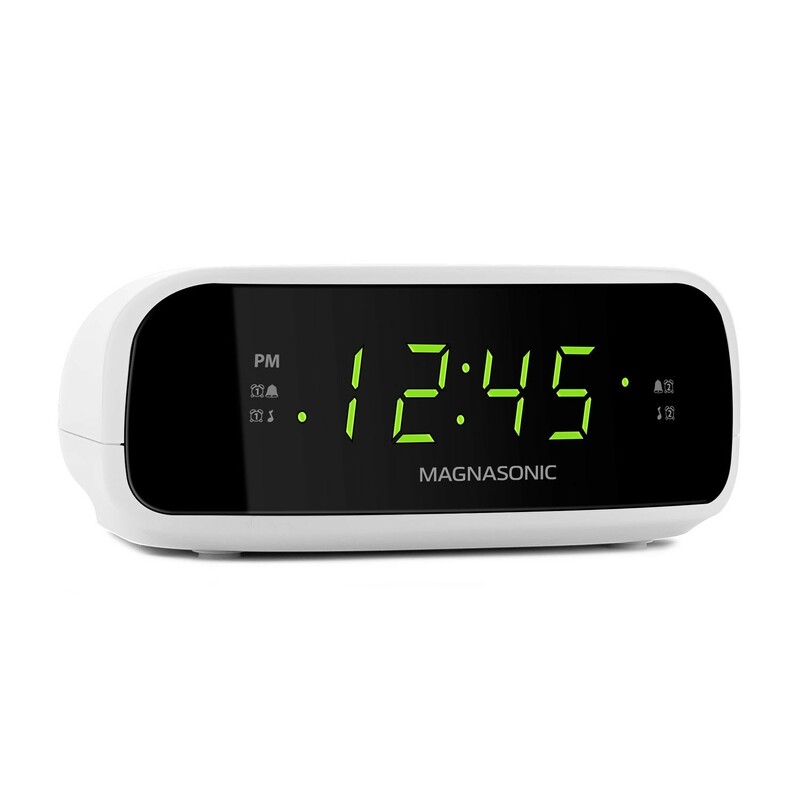 Treat yourself to crystal clear audio every morning with the digital tuner that locks onto the strongest point of the radio signal, giving you the best reception with static-free sound. 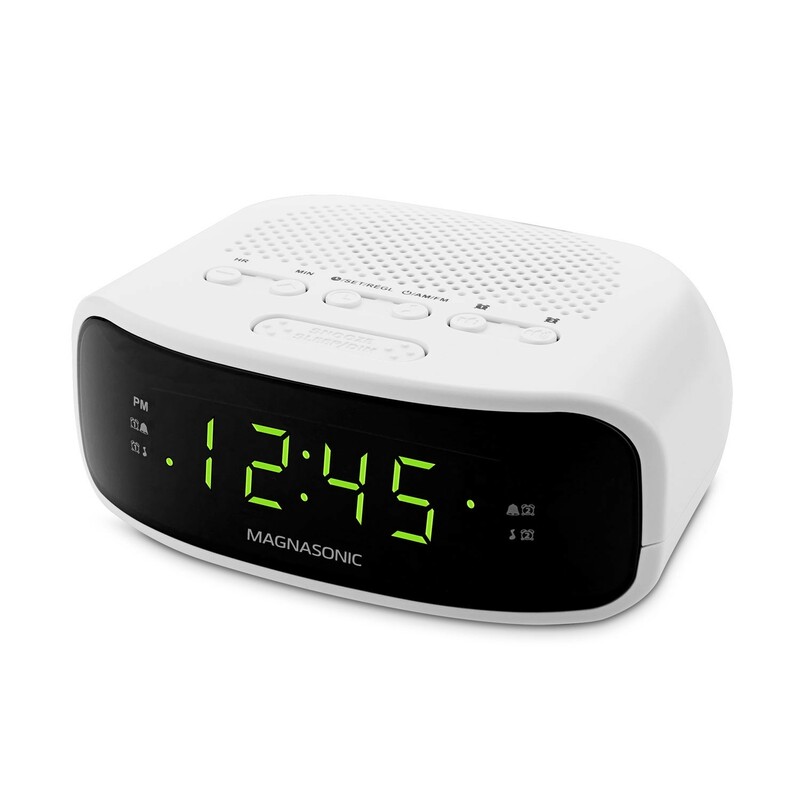 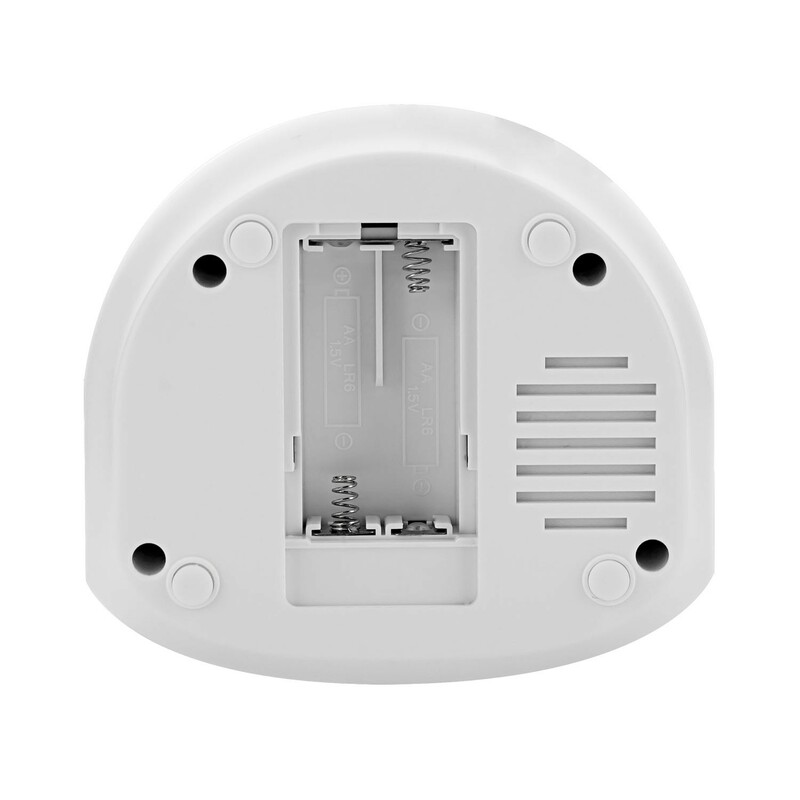 Easy to use electronic controls make programming the device's 20 station presets and seeking your favorite station simple.The clock's digital frequency display eliminates the awkward tuning dial found on most conventional alarm clocks. 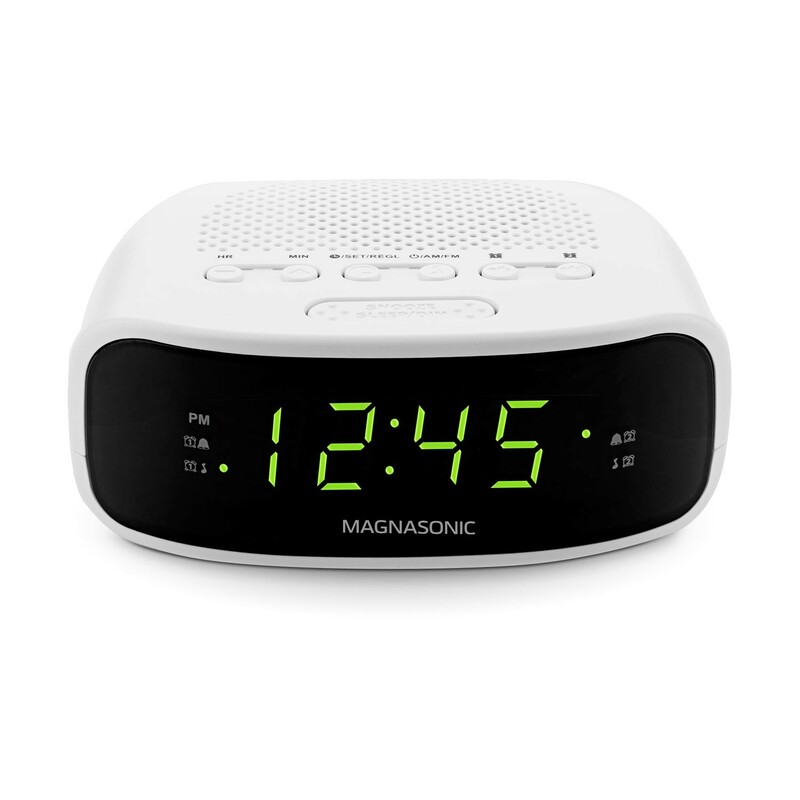 This clock’s battery backup ensures its time and alarm settings are maintained and remain active even after power outages. 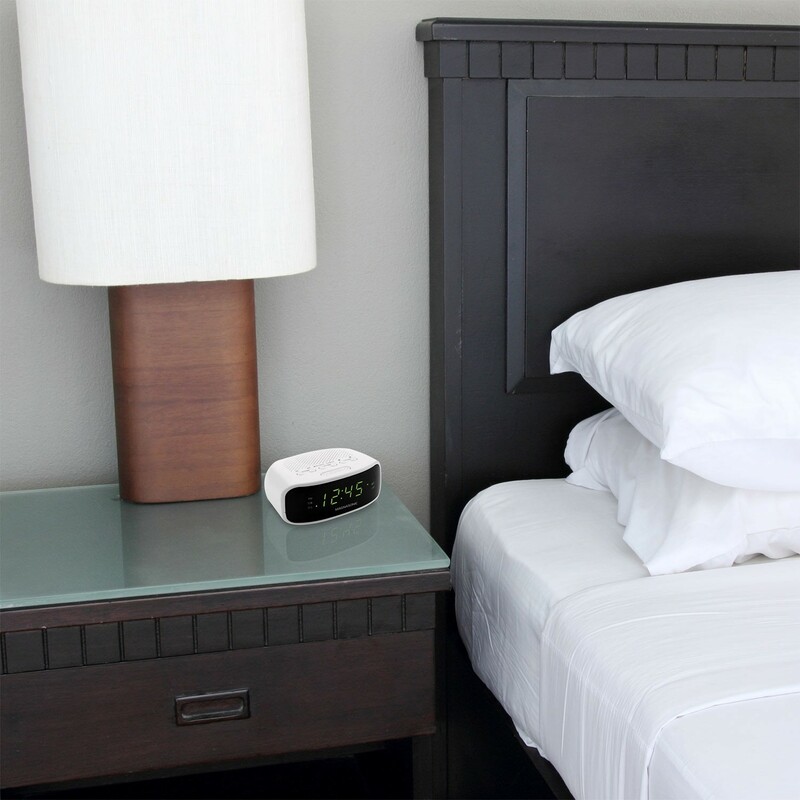 Rest assured knowing your morning routine won’t be derailed by dysfunctional power lines or Mother Nature (2 x AA batteries not included). 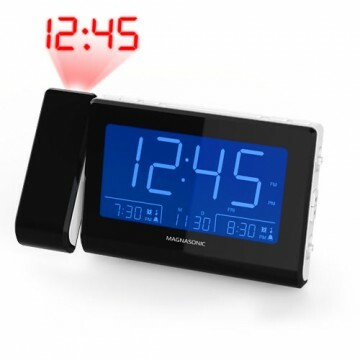 I cant turn off alarm two only alarm one. I do like is says push alarm button three times but the alarm two radio lamp is on and that is for 1am. 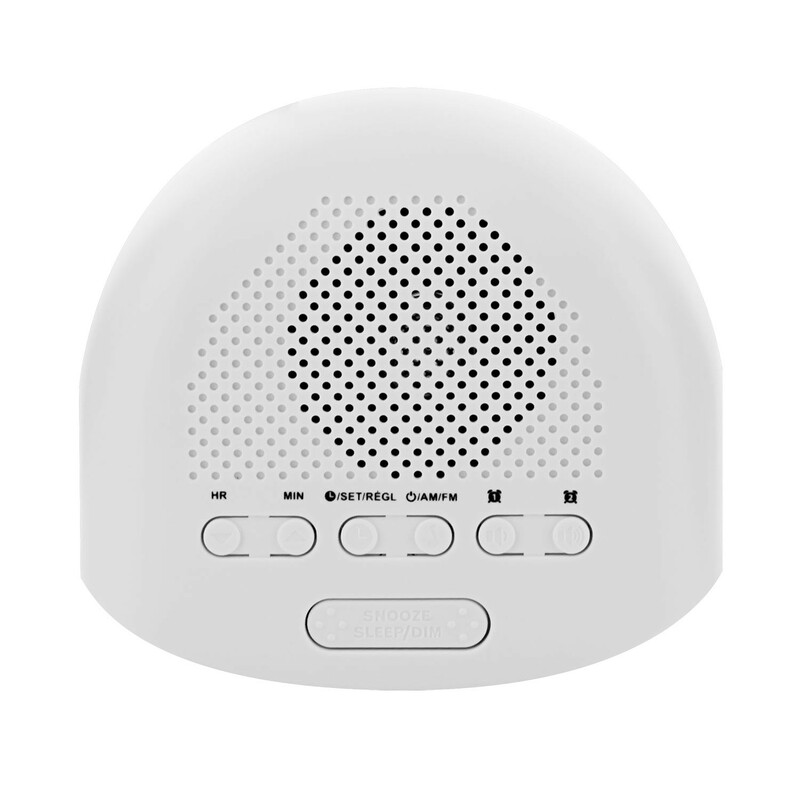 Clean design, PLL radio, good value and free shipping via UPS. 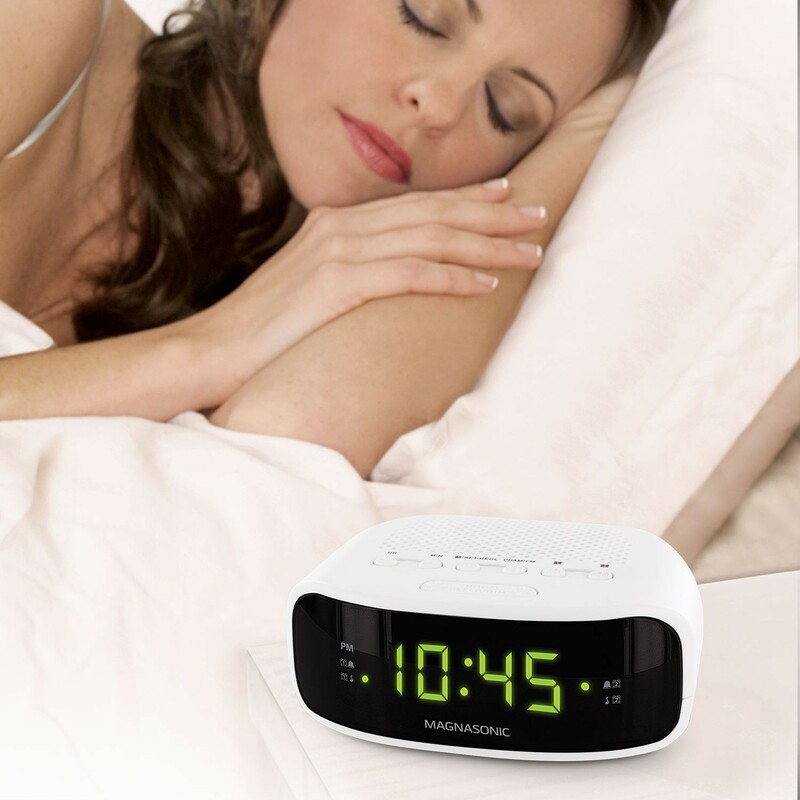 Three sets of six buttons make setting up clock, radio and alarm easy.